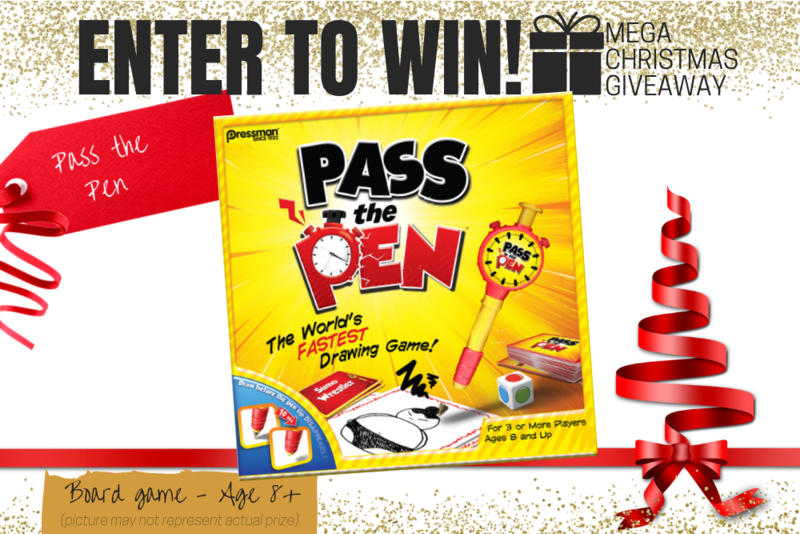 Pass the Pen is the world’s fastest drawing game! With the pen tip disappearing as you play, you only have 10 seconds to draw while all the other players guess. Is that a hamburger? A snowman? A sumo wrestler? You earn points if someone gets it right; if not, you Pass the Pen to the next player, and they pick up where you left off! With over 500 objects to draw, it’s fast, fun and guaranteed to draw plenty of laughter from the whole family. Three or more players ages 8+. Available exclusively at Kmart. 1. **Pass the Pen (game). Total Prize Value $39.95** AUD (the "Prize"). 2. It is the responsibility of the winner to collect the Prize within 7 days of the end of the Competition Period from the Promoter’s Mornington office. 3. The Prize, or any part thereof, must be accepted as awarded and is non-negotiable, non-transferable to another person and non-convertible and is not transferable for cash. 4. The prize must be collected from the Promotors Mornington Office, unless otherwise advised.